Online streaming continues to gain in popularity, both from authorized and pirate sources. 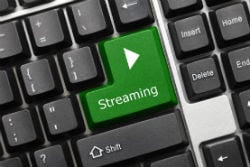 Unlike traditional forms of downloading, however, in many countries the legality of viewing unauthorized streams remains unclear. In the European Union this may change in the near future. This week the European Court of Justice held a hearing during which it reviewed several questions related to pirate streaming. The questions were raised in a case between Dutch anti-piracy group BREIN and the Filmspeler.nl store, which sells “piracy configured” media players. While these devices don’t ‘host’ any infringing content, they ship with add-ons that make it very easy to watch infringing content. The Dutch District Court previously referred the case to the EU Court of Justice, where several questions were discussed in a hearing this week. In addition to BREIN and Filmspeler, the European commission and Spain weighed in on the issue as well. The first main question that the Court will try to answer is rather specific. It asks whether selling pre-programmed media-players with links to pirate sources, through add-ons for example, are permitted. Not surprisingly, Filmspeler.nl believes that it should be allowed. They argued that there is no communication to the public or a crucial intervention from their side, since these pirate add-ons are already publicly available. The European Commission doesn’t classify selling pre-loaded boxes as infringing either, and notes that rightholders have other options to go after intermediaries, such as blocking requests. BREIN, which covered the hearing in detail, countered this argument noting that Filmspeler willingly provides access to illegal content for profit. Spain sided with BREIN and argued that willingly including pirate plugins should not be allowed. The second question is more crucial for the general public as it asks whether it is illegal for consumers to stream pirated content from websites or services. Spain argued that streaming pirated content should not be allowed in any way. BREIN agreed with this position and argued that streaming should be on par with unauthorized downloading, which is illegal under EU case law. Interestingly, the European Commission doesn’t believe that consumers who watch pirate streams are infringing. From the user’s perspective they equate streaming to watching, which is legitimate. Based on the hearing the Advocate General will issue a recommendation later this year, which will be followed by a final verdict from the EU Court of Justice somewhere early 2017.